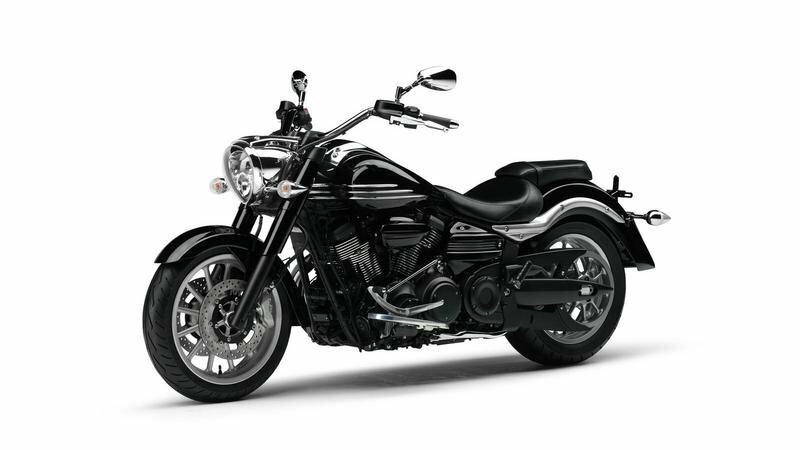 The name alone already breathes a certain kind of mysterious aura to this Yamaha cruiser, the XV1900A Midnight Star. 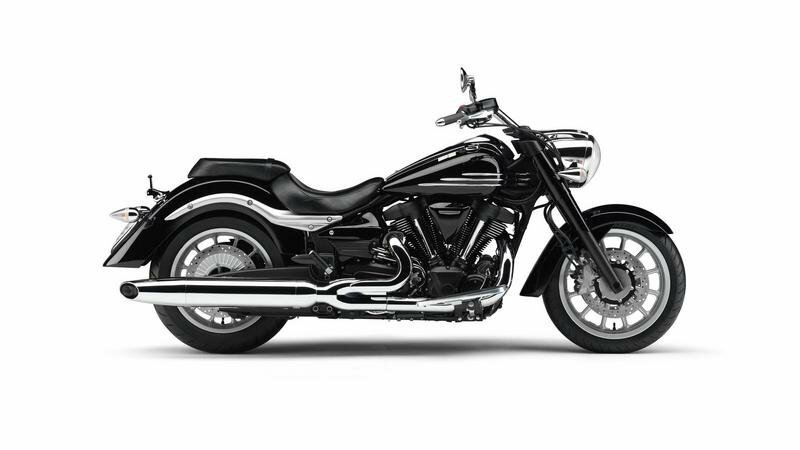 With an essential neo-streamliner shape, fat alloys, pull-back handlebars, and a sparkling engine exterior, the XV1900A Midnight Star has the kind of dramatic looks to turn heads wherever you go. Designed to be a classically styled cruising machine, the XV1900A captures the beauty of the age of the open road. Combine that with a powerful engine, impressive torque, handling, and comfort, and you have makings of a cruiser that always gets people’s attention. Talking about the engine, the XV1900A Midnight Star is powered by a 1,854cc air-cooled, 4-valve, 4-stroke, 2-cylinder V-type engine that has been combined with a host of other technical flourishes, ensuring that the bike lives up to its claim as one of the most powerful bikes in its class. 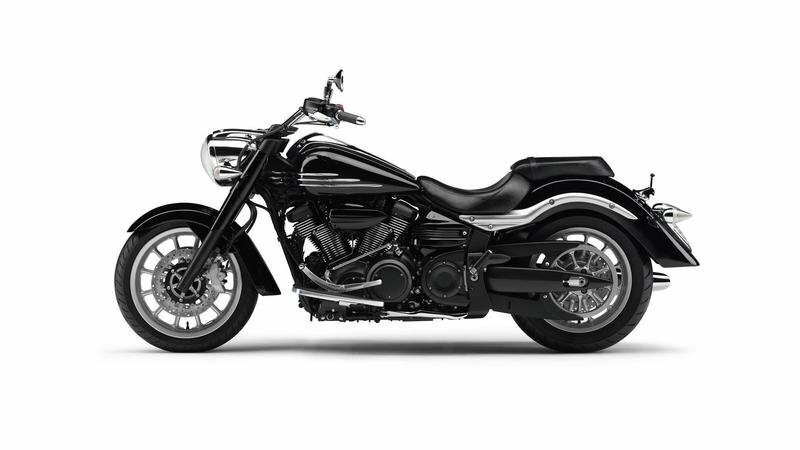 The throbbing torque, the chromed-up style, and the very best of 21st century bike technology - the XV1900A Midnight Star is the ultimate blend of cutting-edge engineering and cool cruiser lifestyle wrapped up in one impressive package. Find out more about the Yamaha XV1900A Midnight Star after the jump. Step on to a classically styled cruising machine, gloriously designed to capture the beauty of the age of the open road, yet packed with impressive torque, handling and comfort. 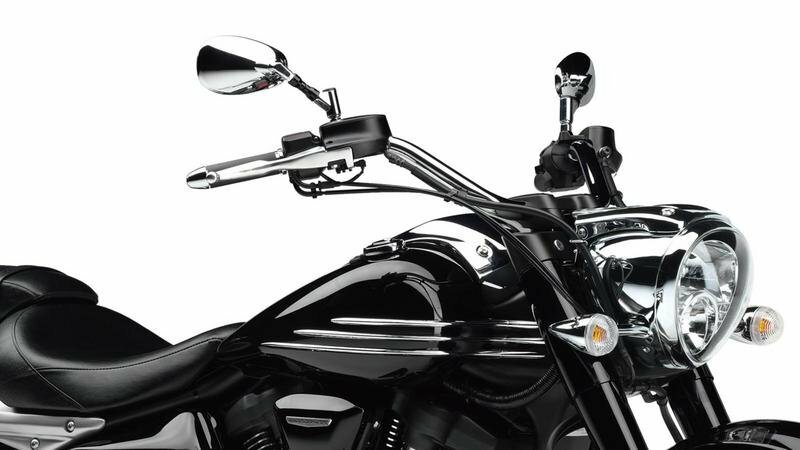 The XV1900A has the kind of dramatic looks to turn heads wherever you go, with a radical neo-streamliner shape, fat alloys, pull-back handlebars, and a sparkling engine exterior. But this is no casual victory for form over function. Our Art of Engineering philosophy demands beauty and top performance in equal measure, and the air-cooled, 4-valve, 4-stroke, 2-cylinder V-type engine combined with a host of other technical flourishes, means you’ll get both. Get out and explore the open road with Yamaha’s stunning range of cruisers. 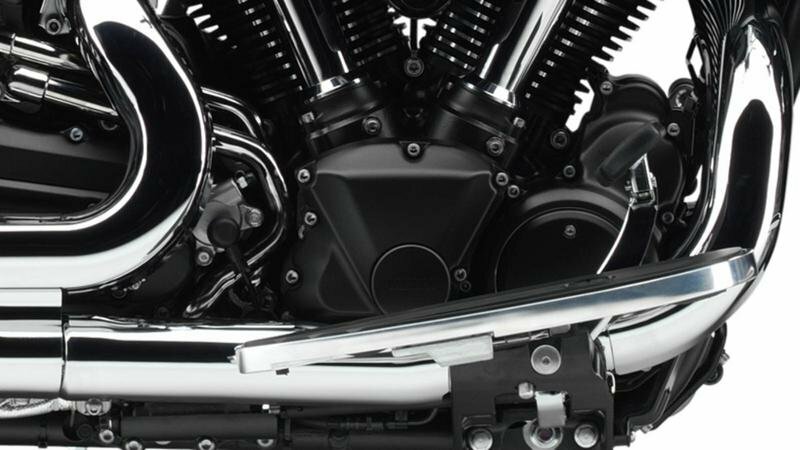 You’ll find throbbing torque, chromed-up style and the very best of 21st century bike technology - it’s the ultimate blend of cutting-edge engineering and cool cruiser lifestyle. 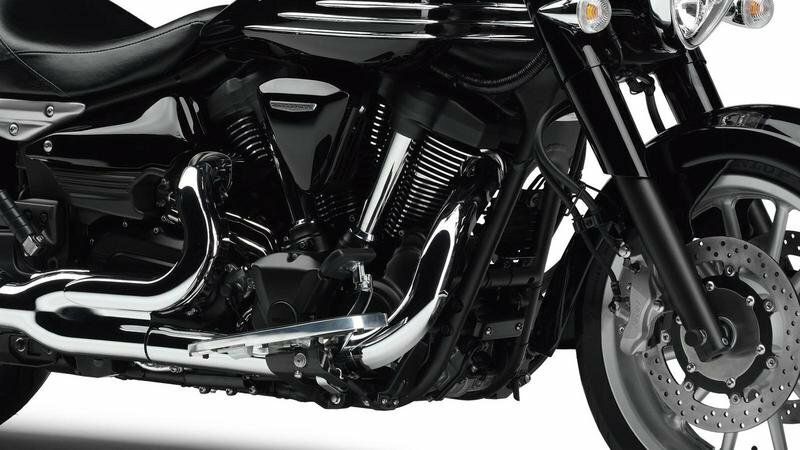 From the easy-riding of the XV950A to the classic styling and exhilaration of the XV1900A, the range combines high-powered engines and menacing looks with the ultimate in rider comfort and control - aided by technologies like Yamaha’s optional Unified Brake System. So climb aboard and do whatever you’ve got to do, whether that’s a cross country hike or a gentle cruise, these bikes are ready. Cast alloy wheels, with a 12-spoke design that gives an impression of extra-thick wire spokes, underline this sophisticated cruiser’s very special blend of character, technology and style. 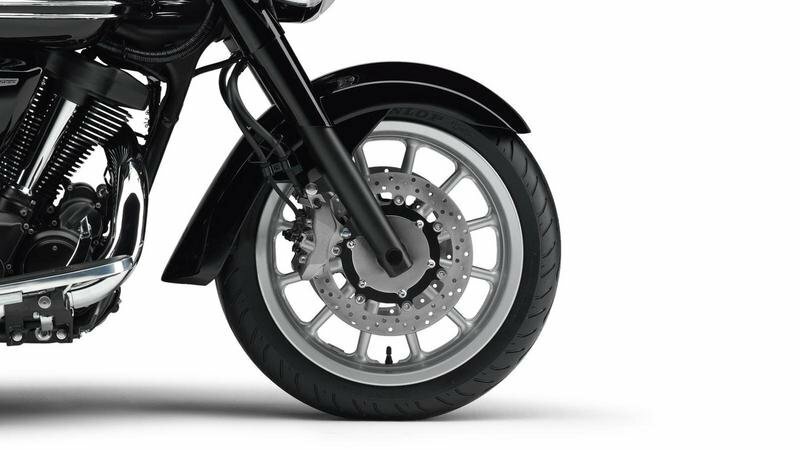 To ensure smooth transmission of power, the rear wheel uses iron rubber dampers. If you see one cruising past, you’ll notice the XV1900A’s special sparkle. Our engineers have been able to create beautifully styled cylinders with extra-large cooling fins featuring very few vertical ribs. Each cylinder has 20 fins, each one specially treated to give a sparkling ’jewellery’ effect as sunlight reflects off the engine. Mount an XV1900A and you’ll immediately notice the comfortable riding position. 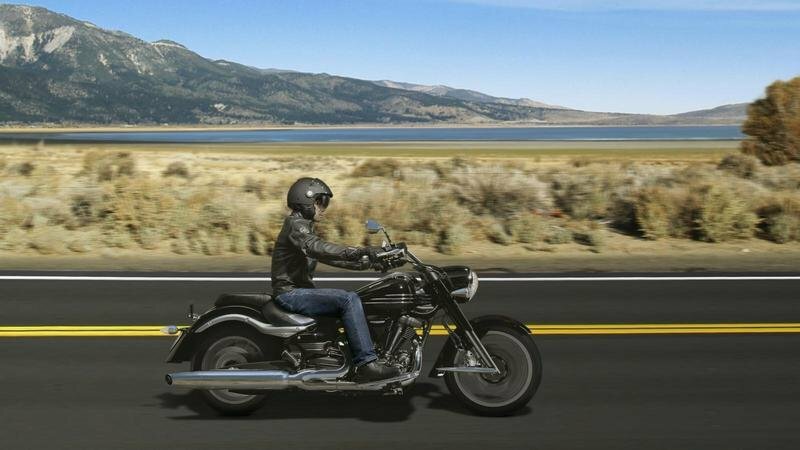 The fat, wide pull-back handlebars, together with the low seat height and long footboards make for a great riding position - and for added convenience the rocker-style shift pedal has front and rear sections that can be individually adjusted. When this rolling sculpture floats by, you see that virtually every component has been designed to appear as if it is flowing with the wind, whether it’s the flared fenders, teardrop fuel tank, swept-back handlebar holders or the pointed swingarm. It’s an expression of smooth speed and thrusting power. 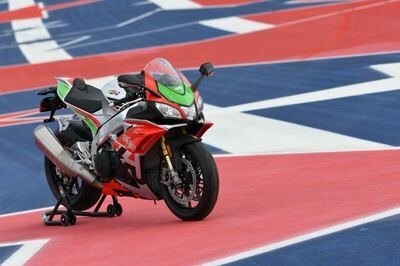 One of the most important features of the new 1,854cc engine is its feeling of direct and instant power, and the design of the cylinder heads and pistons play a major role. Two spark plugs per cylinder ensures instant combustion, while the 4-valve compression head and pent roof combustion chamber give high levels of gas-flow efficiency. When you’re on a road trip, and cruising cross country for hours of uninterrupted riding pleasure, comfort is important. 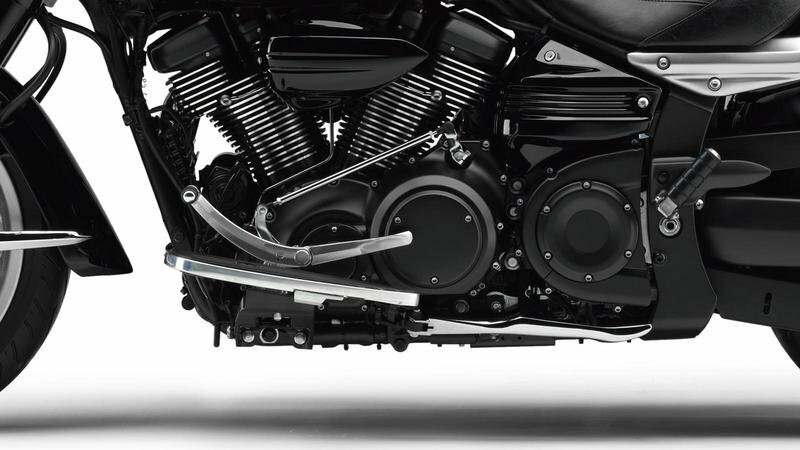 The XV1900A has been designed to cut out vibration, with balancers on both sides of the engine, while allowing the sensual pulse that lets the rider feel the engine working. Take a cruise on the XV1900A, and you’ll soon understand the power that moves this mighty machine. 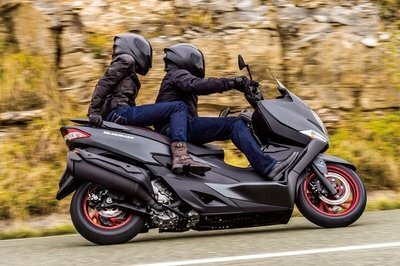 The 1,854cc 4-stroke, V-twin, air-cooled, OHV engine has been developed to deliver class-leading levels of power and torque. It’s a whole new power cruising experience. 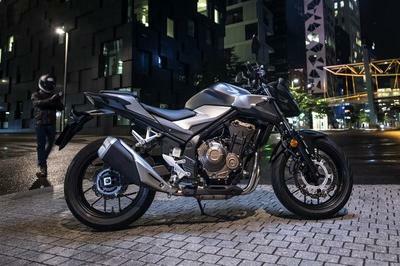 Bikez ---- "The XV1900A has the kind of dramatic looks to turn heads wherever you go, with a radical neo-streamliner shape, fat alloys, pull-back handlebars and a sparkling engine exterior." Metropolismotorcycles ---- "Step on to a classically styled cruising machine, gloriously designed to capture the beauty of the age of the open road, yet packed with impressive torque, handling and comfort." 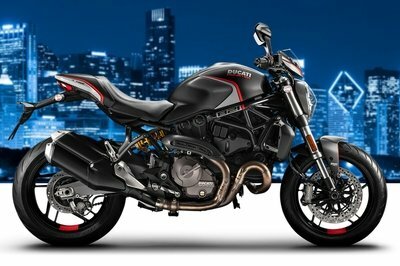 Lowered-looking and a little bulky body makes this bike great for big guys. I just don’t know if it will give you a smooth ride.